JO Social Branding offers starter, self-service and managed email marketing options for new and established business owners who are ready to nurture strong client/customer relationships, improve loyalty and retention, and boost revenue – and do it in less time with the highest ROI marketing around. 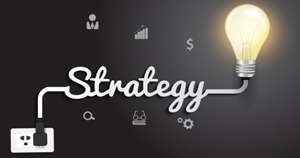 If you are doing everything in your power to drive online traffic to your website, shouldn’t you be using your website to convert visitors to become subscribers to your email list? With the New Year we find ourselves making resolutions, goals or promises to improve some aspect(s) of our lives. But what about your business? 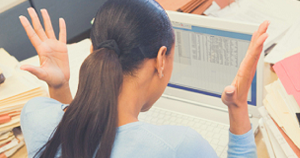 Are you setting resolutions to make sure your business health improves as well? 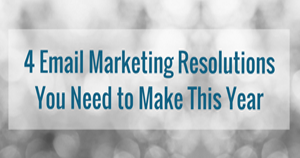 Here are 4 suggested email marketing resolutions for you to make, to improve your business in the coming year. Do you struggle with getting your email marketing messages opened, read and clicked? The problem may be in your delivery of content. Take a minute and think about your reader or subscriber. They have A LOT of email being sent to them everyday. You as a marketer are competing for attention in their inbox. Trying to get your arms around your content for 2018? 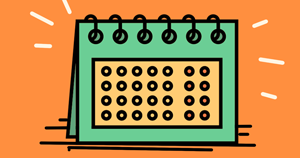 Consider using a content calendar to keep yourself organized and on track. Marketing was something I always struggled with. However, I realized it was something that was crucial to my success and that I needed some professional help. Then I met Jeannine at a seminar and was impressed with her professionalism and knowledge, so we met and discussed my goals. She came up with an easy to follow 6 month content calendar marketing plan that got my business on track! I would highly recommend Jeannine! I have had the pleasure of attending a couple seminars and presentations that Jeannine has offered. She clearly possesses a high degree of understanding of the "little things" that matter when engaging in any form of digital marketing. Truly a professional and a leader in the space. Jeannine did a great job leading a series of 6 workshops for SCORE NE Massachusetts, focused on digital marketing. The attendees responded well to her and she was very open about her path to becoming an expert in Social Media.